Rock Townsend - Group Trip to Stockwell's Hall of Fame!Group Trip to Stockwell's Hall of Fame! Group Trip to Stockwell's Hall of Fame! 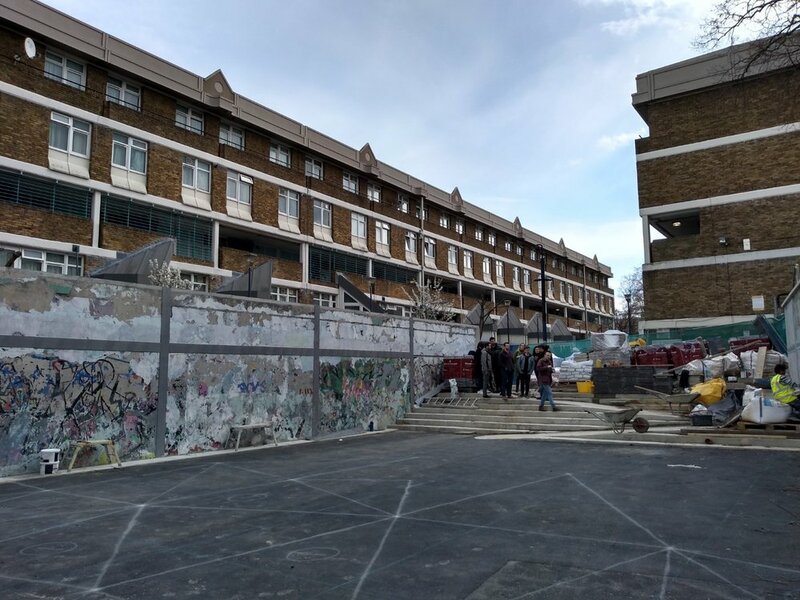 One of RT’s latest community projects, the reinvention/renovation of Stockwell’s renowned Hall of Fame, is underway! Our team went along yesterday to have a look and to help mark out the triangles for the bright and dynamic new flooring. The Hall of Fame is a thriving street art space near Brixton, loved by artists but with drainage, access and safety issues. The renovation project has knocked down walls, installed steps and a central podium, improving the visibility of the art and providing safe access and better conditions for painting, sports and other events.